“Frammenti” collection, Studioart leather interiors. 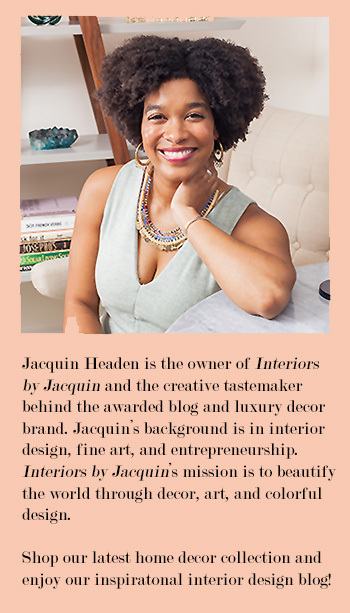 Every now and then I learn of interior design elements that truly excite me. 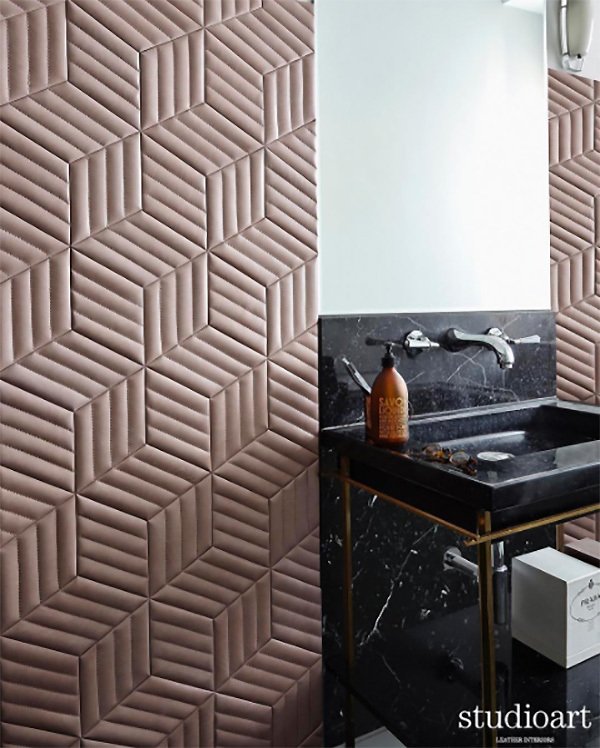 The leather wall treatments created by Italy-based company Studioart have succeeded in peaking my interest. When it comes to leather and wall treatments, Studioart’s creativity is truly unmatched. Their “Frammenti” collection showcased above is a classic selection that would go well in a range of spaces. 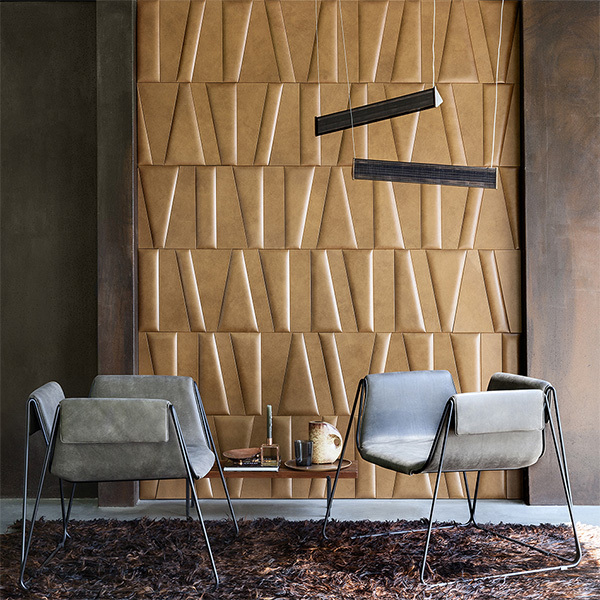 Many of Studioart‘s leather wall collections allow you to choose which direction you would like their patterns to appear in, allowing you to achieve your preferred aesthetic. And how gorgeous is their violet, leather statement wall from their “Hyperreal” collection?! “Hyperreal” collection, Studioart leather interiors. Frammenti collection, Studioart leather interiors. I am impressed and inspired by each of Studioart’s collections, but the Frammenti collection of leather interiors are my favorite. The rich camel color is so versatile and the pattern is truly mesmerizing. Frammenti shows irregularity through an apparently random pattern made of six different shapes. Ever-changing shapes explore the full potential of leather presenting a collection that expertly mixes and matches different leathers, forms, and chromatic proposals. The Anniversary Collection, Studioart leather interiors. For Studioart’s 10 year anniversary, the company released a showstopping Anniversary Collection. 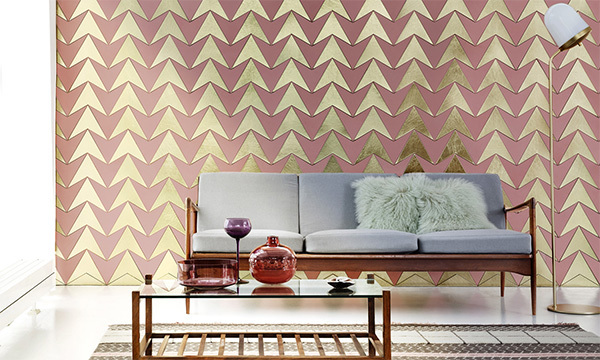 This collection features gold & pink leather triangular shapes that are combined to create this original wall treatment. 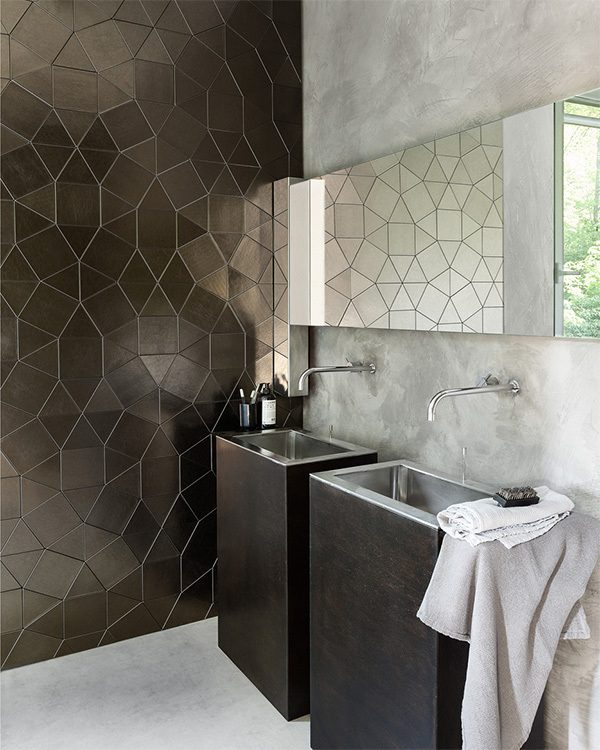 Studioart’s stunning leather wall treatments are equally unique and luxurious. This is definitely a brand that I look forward to following and working with in the future. “Kaleido” collection, Studioart leather interiors. Losange collection, style Lumiere. Photo by @pierogemelli, Styling Beatrice Rossetti, Studioart leather interiors. 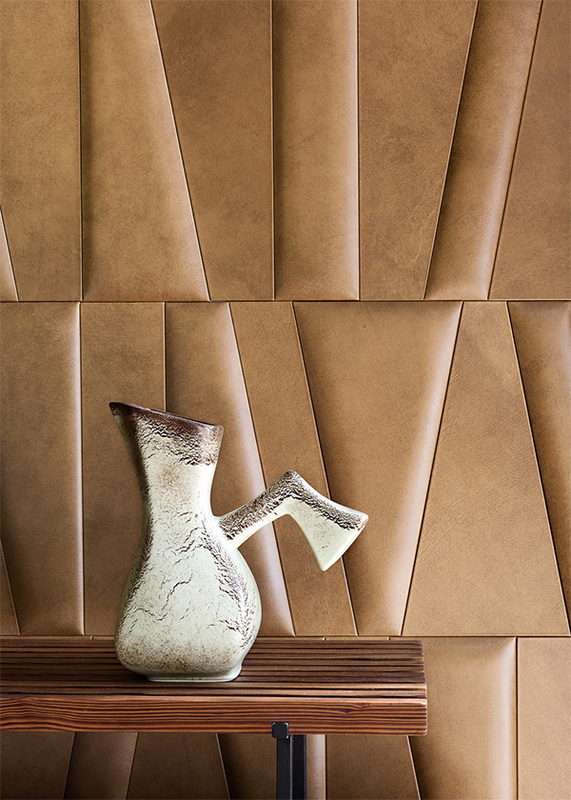 If you’re inspired by these luxurious leather walls, visit Studioart’s website for more information. There are so many unique designs to consider!